Heritage: Skwxwú7mesh – Squamish, Coast Salish. Jody Broomfield was born in North Vancouver, BC and now resides on the traditional village of Xwemelch’stn (Homulchesan) West Vancouver, BC. His family come from the villages of Eslha7an (Uslahawn) & St’a7mes (Stawamus) and they carry the Double Headed Sea Serpant Crest. Full time artist since 1999, Jody has observed and studied the Salish Art Form, which he very devoted too and take exquisite amount of time on each artistic creation. Jody has collaborated on several different projects with the Royal Canadian Mint, Tom Lee Music, BC Lions Society for Children with Disabilities, Four Host First Nations/VANOC. Many of his artistic creations are featured in many public and private collections, locally and internationally. Jody is a proud artist of the Squamish Nation, Coast Salish. He has been a full time artist, since August of 1999. Jody enjoys working with the mediums: wood, glass, metal sculptures, jewelry gold & silver, painting’s and prints. Jody concentrates in the following art pieces, hand carved masks. Wall Panels, carved entry doors and house posts (totems). Jody also specializes in graphic designing with the program Adobe Illustrator, which he applied with Corporate/Business logos and layout designs for the past 4 years. 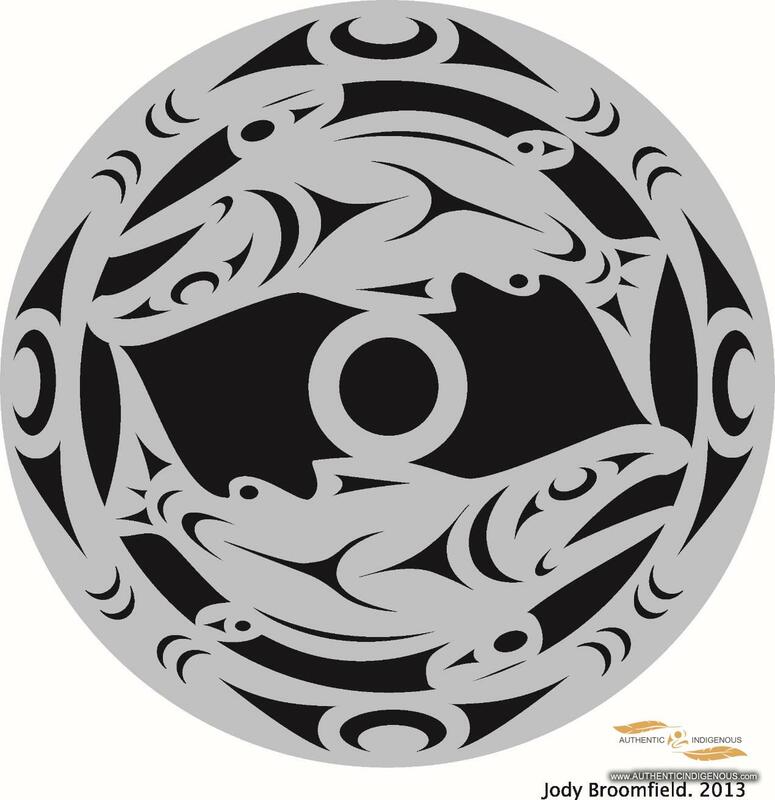 Jody’s image was chosen for the “Four Host First Nations” logo, which was partnered with the Vancouver Organizing Committee (VANOC) for the Vancouver 2010 Winter Olympics. The same image is also featured on a special edition 75 Dollar Gold Coin (8000 edition) by the Royal Canadian Mint, which was available to the public February 2, 2008. Collaborated work with the Royal Canadian Mint: In addition, Jody also has a 4 other limited edition Gold and Silver coins with the RCM. 2008 – $300 Dollar Gold Coin, edition of 1200 featuring the “Four Seasons Moon Mask”. 2009 – $300 Dollar Gold Coin, Edition of 1200 featuring the “Summer Moon Mask”. 2009 $20 Silver Coin, Edition of 10,000 featuring the “Summer Moon Mask. 2010 $3 Dollar Silver Coin, Edition of 15,000 featuring the “Return of Tyee”. September 2009, Jody was presented the Public Art Award of Excellence by Mayor Darrell Mussatto, City of North Vancouver for the Salmon House Post & Return of the Spawning Salmon Sculptures, Touchstone Development, commissioned by Ledingham & McAllister. June 2013, Jody was presented a second Public Art Award of Excellence by Mayor Darrell Mussatto, City of North Vancouver for “Salmon for Wendell” Mackay Creek Bridge, North Vancouver.